The Hungarian government has denied any involvement. “Our first aim was to show solidarity with Népszabadság and its employees. So we would like them to feel that we are with them,” said Kata Dózsa, the protest organiser. The paper’s Brussels correspondent said the EU doesn’t have the sufficient tools to protect media freedom in member states, such as Hungary. “We know that the EU made some steps regarding the media freedom when the Hungarian media law was accepted. They even tried to start an infringement process, which resulted that the government withdrawing some elements. 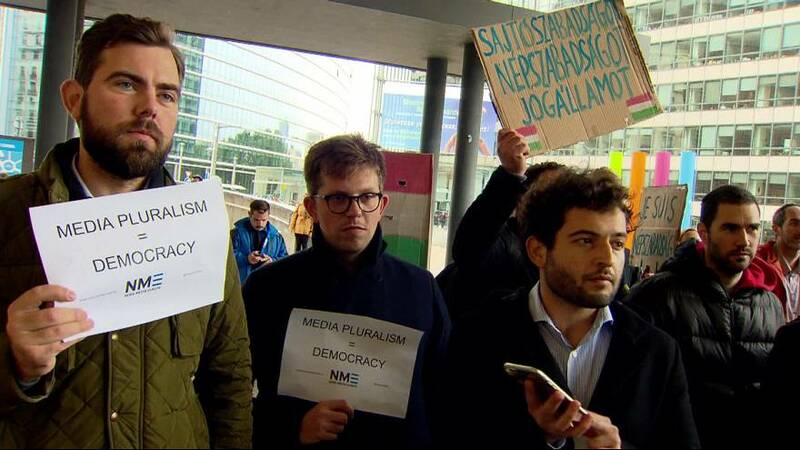 But its clear that the EU can no effectively act on these issues (of media freedom),” said Katalin Halmai of Népszabadság. The publisher of the paper, Mediaworks, said the paper was shut down owing to heavy losses.